The VCM Editor also allows for increased vehicle support for tuners, and also access to extra VCM/PCM operating system code modifcations. Tuners also have the option to modify VIN’s, a useful feature for mail order VCM’s. Security. Protect your tunes with Tunerlock. Only you have the ability to read and write to VCM/PCM’s that you have Tunerlocked. Prevent unwanted access to your hard work. What does the Pro interface allow me to do over the Standard Version? With our Pro interface, you can integrate 0-5v signals from various sensors such as EGT, Wide Band, fuel pressure and others right into our scanner. You will have real time data from those sensors right next to your standard scan tool data such as TPS, RPM, MPH, etc. 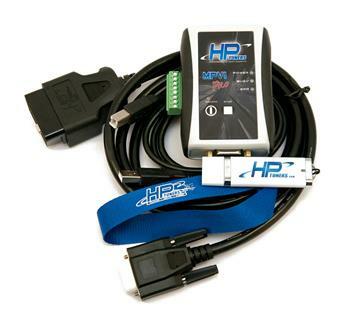 Our Pro interface also has black box data datalogging for select vehicles of up to 1hr 30mins built in. What this means is you are able to scan your vehicle without the use of a laptop using the interfaces record button. You can then take the interface into your home to transfer the log contents from the interface to the computer. If you have an MPVI Pro it will require no hardware modification. Also note that VCM Scanner comes with both interfaces regardless as it is part of our VCM Suite package.